Home / durian / durian pizza / fooddrink / foodie / news / tino's pizza cafe / Try out Tino’s Pizza Café’s new durian pizza! 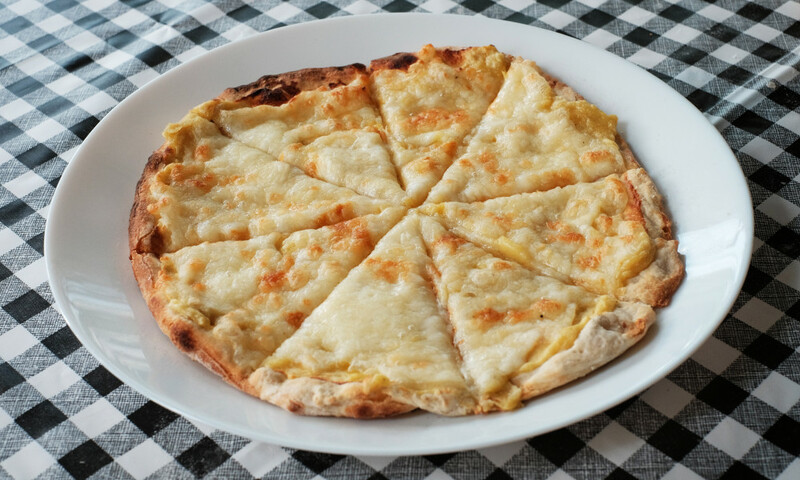 Try out Tino’s Pizza Café’s new durian pizza! 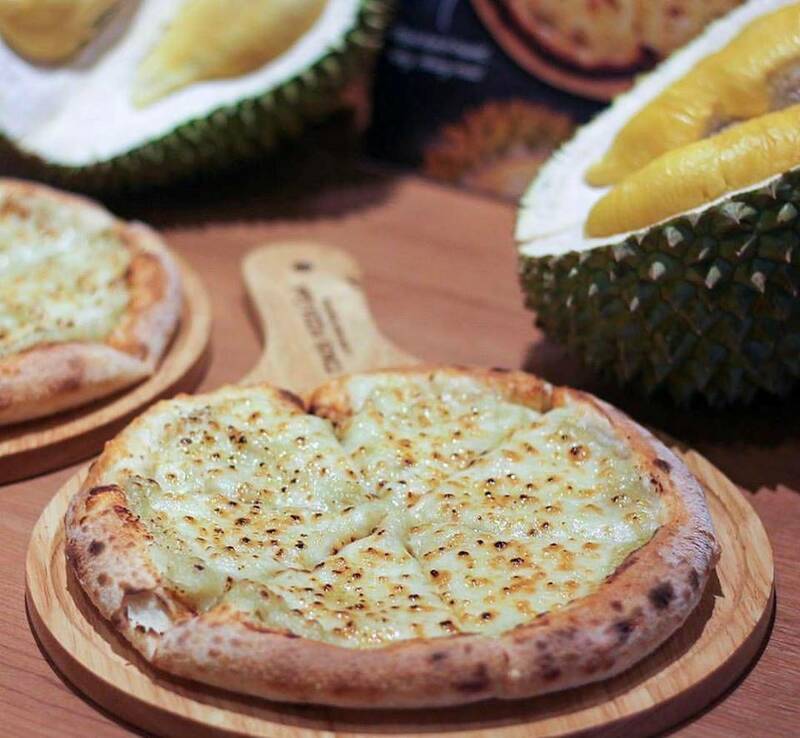 Durian lovers, you are in for a treat as Tino’s Pizza Café in Singapore is offering a new exotic dish to its menu – durian pizza! The café which offers authentic Italian food introduced its new unique pizza on 1 April 2017 – which everyone thought was a joke at first, but turns out to be the real deal. 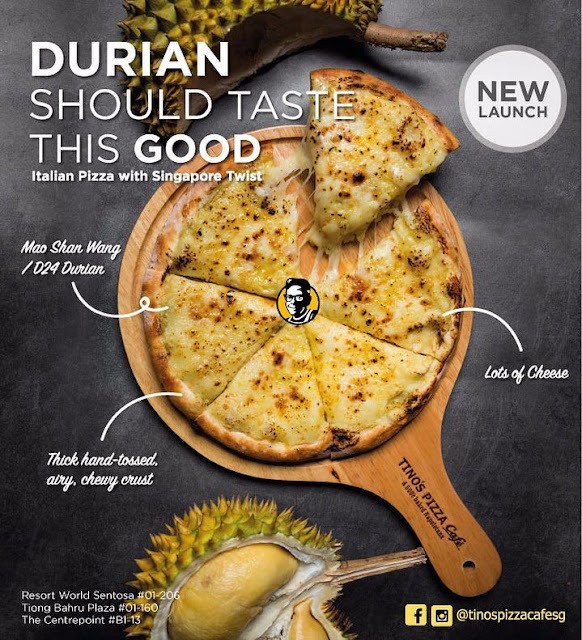 There are two durian pizza flavours to choose from; the Mao Shan Wang which is at SGD21.90 and the D24 which costs SGD16.90. Though the combination of this Italian dish and the exotic king of fruits may seems weird to many, Tino’s Pizza Café is certainly not first to sell this pungent concoction. Singapore’s Godfather Pizza, Sarawak’s 900 Inn Café, China’s Blue and Brown (which has recently closed down) and Pizza Hut also offer the same dish. 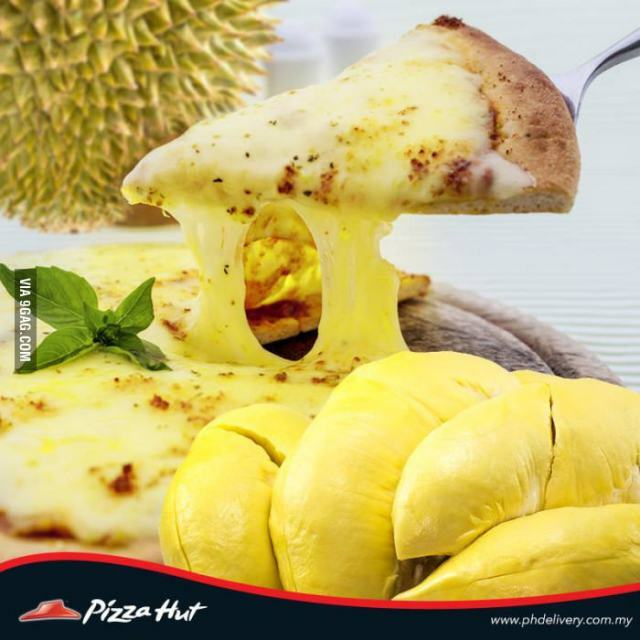 Also, back in 2015, Pizza Hut Malaysia tried to conceptualised the same idea but it never happen in the end. 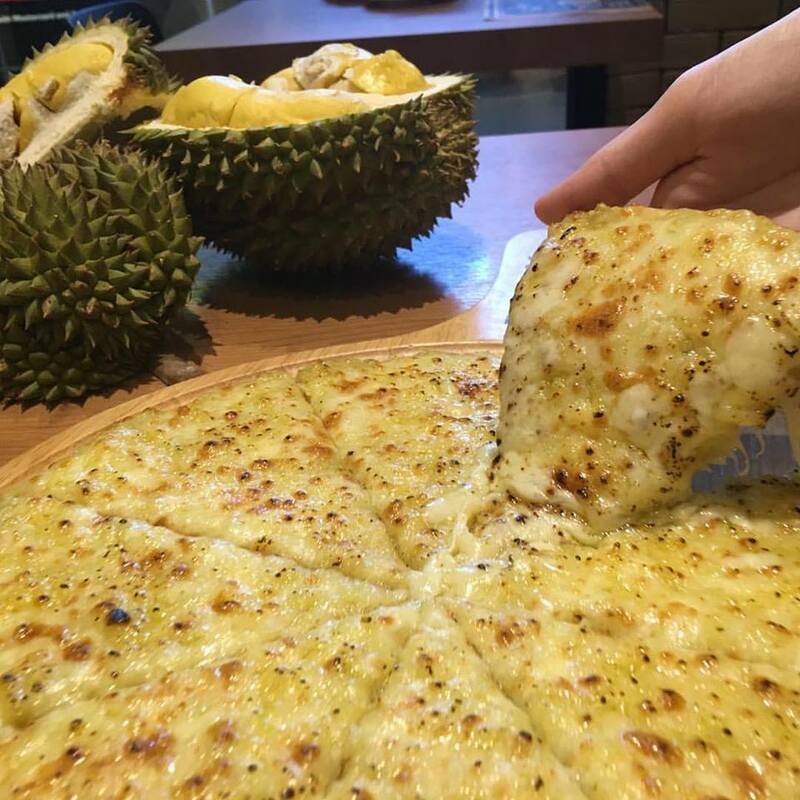 The durian pizza may not appeal to everyone but for those who are gastronomically adventurous, this might be something worth trying.